V8 Supercars Australia has announced a new 6 year media rights deal for its Championship series. Foxtel/Fox Sports and the Ten Network will replace�Seven from 2015 as the Championship series broadcasters. Seven signed its current two-year deal at the start of the 2013 Championship series. The new deal is worth a reported $241 million ($196 million cash and $45 million contra)�for all media rights and covers the period 2015 to 2020. The new deal includes digital rights, which suggests that the V8 Superview product will be a short-lived venture (at least for the Australian market). While details of the broadcast deal are limited, it has the hallmarks of Formula 1’s agreement with UK broadcasters Sky Sports and the BBC, where Sky Sports has all races live and the BBC broadcasts only a selection of races live each year (and highlights of rounds it does not broadcast live). Under the new deal Fox Sports will have live rights to all events, while it seems Ten may only broadcast marquee rounds live (such as the Supercheap Auto Bathurst 1000) and have highlights of other rounds. Although it should be noted that V8 Supercars is yet to confirm what Ten’s coverage of the series will be. There is already speculation that the V8 Supercars round at the Australian Formula 1 Grand Prix will return to championship status, given that the F1s and V8s will share the same broadcaster from 2015. We put forward an offer for a new television rights agreement that represented a substantial increase on the current rights agreement and one which made financial sense for Seven and V8s and would have ensured its presence on Australia�s leading television network for years to come….We have a very strong sports line up across a wide range of live sports that the Australian public love to watch on Seven and this situation will inevitably lead to other opportunities and we will be very ready for them. 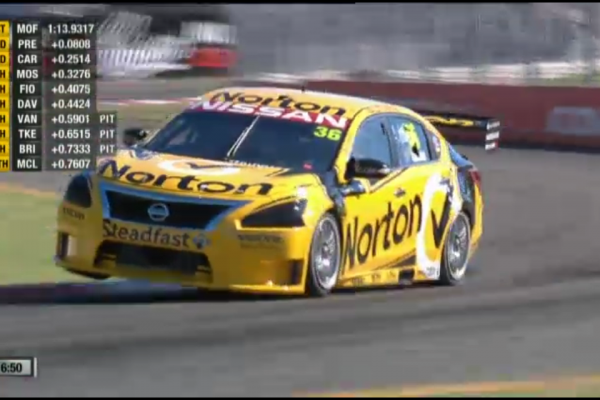 With V8s now having live Pay-TV coverage for the first time (from 2015) (Speed currently has replay rights only), it will be interesting to see whether this is the right move for a sports product that does not have weekly events (as opposed to the AFL, NRL etc).�In any event, the decision to only sign a two-year deal with Seven and wait for the broadcast sports right market to settle before looking for a longer term partnership has been vindicated, given the uplift in rights fees Foxtel/Fox Sports and Ten has agreed to pay (compared with the value of Seven’s current deal with the V8s). For Ten, the return of the V8 Supercars means it is once again the ‘Home of Motorsport’. The Formula 1 and MotoGP are already broadcast on Ten/ONE. Add to this the KFC Big Bash League, Rugby Union, Swimming, Winter Olympics and Commonwealth Games broadcast rights, Ten is clearly building a strong portfolio of sports rights as a means to rebuild its audience and advertising shares. For the V8s, the new deal evidences the continued growth of the brand and will likely see more sponsors join as team and Championship�sponsors, given that broadcast coverage of the Championship is secured for the remainder of this decade.